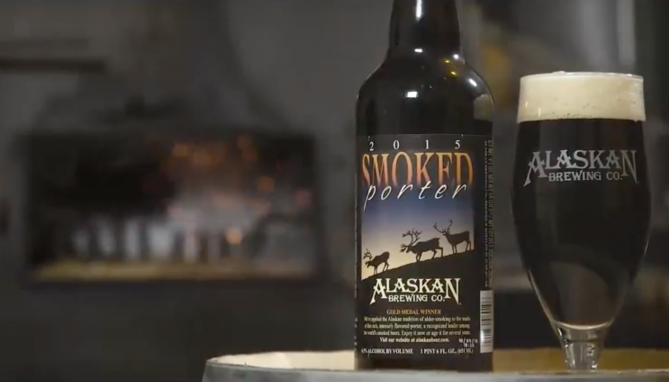 Alaskan Brewing’s Smoked Porter beer captures the history of Juneau, the city in which the brewery started and still thrives. Scott and Dan Redfield’s Hybrid Color Films crew traveled to Juneau to film on location at the Alaskan Brewing company. In an interview, Alaskan Brewing co-founder Geoff Larson discusses the history of Juneau and how it inspired their gold medal winning beer. In the early 1900s, everyone in Juneau cooked and heated their homes with wood, creating a smokey smell on the streets. The roasted grains of the porter pays homage to those times in early Juneau history. Scott filmed portions of the beer making process, specifically the preparation of the smoke-flavored grains, to illustrate Geoff’s explanation. A shot of a wood-fueled fire helps the viewer smell the smoke that is key to the porter’s inspiration. Shots of the brewery and of Juneau create a sense of place, so even those who have never visited Alaska’s capital city can feel a part of the heritage described by Geoff.